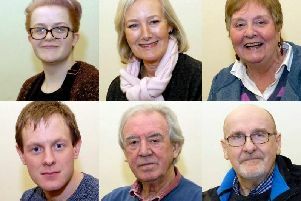 Colne Dramatic Society is extending this month's Valentine vibes with a tender love story in March. Lovesong, written by Abi Morgan, tells the moving story of one couple at two different points in their lives: as young lovers; and as worldly companions in their later years. Director Steve Grist knew he wanted to bring the tale to Colne's Little Theatre from the moment he first came across it. He said: “I fell in love with this play when I first read it. “I like the premise, and that fantasy element in the drama is really appealing. The writer, Abi, is the brains behind numerous hit tales, including Brick Lane, The Iron Lady, Shame and Suffragette. 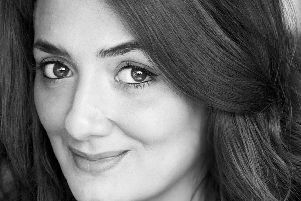 Vivien Thornber, who has been involved in numerous CDS productions over the years, will make her return to The Little Theatre stage. Vivien will play Maggie in her later years, while starring opposite her as Bill will be theatre stalwart Neil Tranmer. It will be his first ever performance with CDS. The younger Margaret will be portrayed by Lauren Monk and finally, Matt Whatley has taken on the role of William. Both Lauren and Matt are also newcomers to the society. The show will from from Monday to Saturday, March 4th to 9th, at 7-30pm nightly.